These rafia and bead clip-on drop earrings by Sachin & Babi Accessories add texture and motion to summer ensambles, making them perfect for a flirty date night. 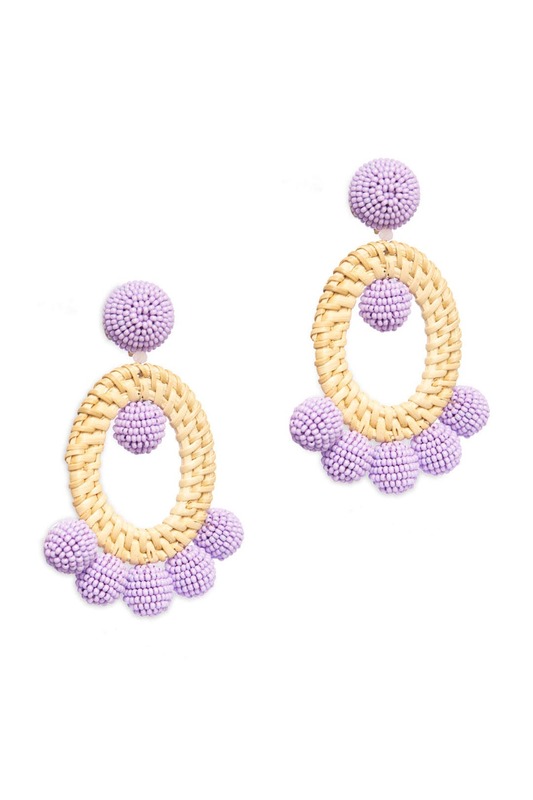 Lilac glass beaded earrings with raffia oval hoop detailing. Clip backs with comfort pads. 4" long.